Obituary – Hughes, Maxine Earlene (Johnson) « Perry High School Alumni Association, Inc.
Maxine Hughes, 87 of Perry, passed away on Monday, April 10, 2017 at Green Valley Nursing Home in Perry, OK. Arrangements have been entrusted to Palmer Marler Funeral Home in Perry. Graveside services are scheduled for 10AM Friday, April 14, 2017 at Richburg Christ Lutheran Cemetery. Everyone is invited to a reception at Jim and Maxine’s home following the service. Visitation will be 9AM to 8PM Thursday, April, 13, 2017 at Palmer Marler Funeral home in Perry. Family will greet guests from 5PM to 7PM. Maxine was born October 3, 1929 in Fairmont, OK, to Edwin E. and Olga Johnson. After the death of Olga, when Maxine was at a young age, Edwin married Naomi Chapman. Maxine was raised by Edwin and Stepmother Naomi. She attended Fairmont Public Schools through the seventh grade. The family moved to Perry during her eighth grade year where she remained until her passing. 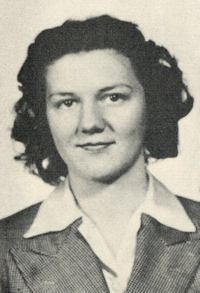 She continued school in Perry and graduated from Perry High School in 1947. Maxine met the love of her life, Jim Hughes. They married on November 12, 1949 in Perry, OK, where they would make their home and raise their three children. Maxine and Jim were blessed to have spent 66 wonderful years together until Jim’s passing in March of 2016. She enjoyed playing cards with the grandchildren, watching and feeding the birds, and cooking for her family and friends. Spending time with her family brought her the greatest joy and happiness. She truly earned the title “homemaker”. She was of the Lutheran faith and attended Christ Lutheran Church here in Perry. 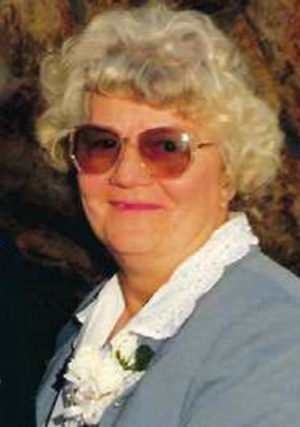 Those she leaves behind who hold cherished memories include; one son, Bill Hughes and wife Betty of Perry, OK; one daughter, Deanna Vargas and husband Ruben of Vernon, TX; five grandchildren, Michael Price, Travis Hughes and wife Michelle, Nick Hughes and wife Kristin, Meagan Vargas, and Tanner Vargas; two great-grandchildren, Kalil Price, and Wyatt Hughes; one sister, Wanda Harper of Perry, OK, and one brother, Harry Johnson of Perry, OK.
She was preceded in death by her parents, husband Jim, son Randy Hughes in 2013, and great-grandson Case Hughes.